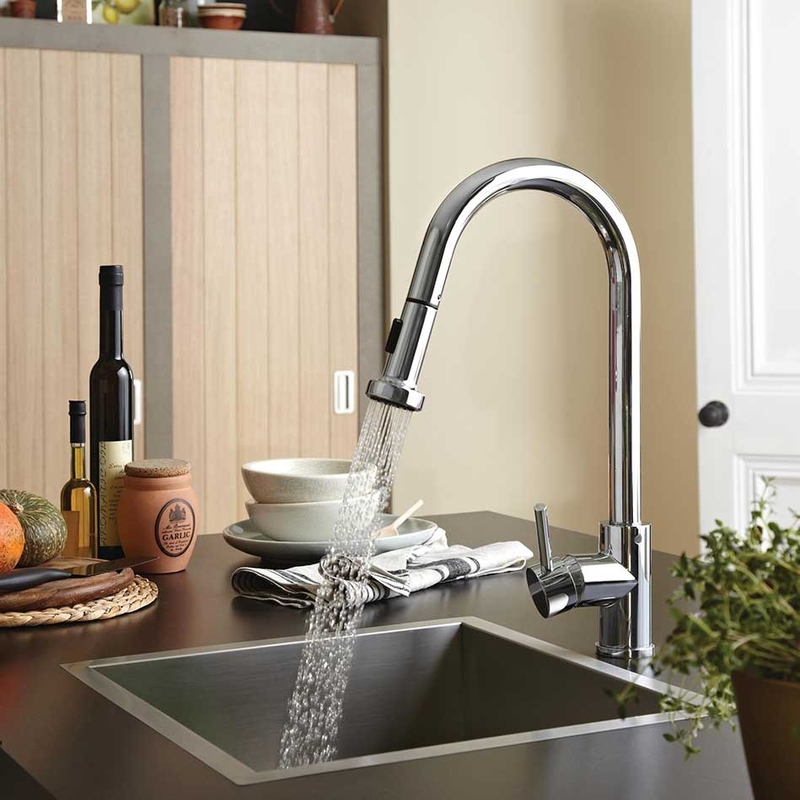 The Bristan are known as one of the best tap manufacturers in the world, and the Bristan Apricot Mono Kitchen Sink Mixer Tap is a hallmark of high-quality range. This stand-out kitchen tap has a sleek, polished design and is packed with features to make it an efficient part of any busy kitchen environment. The tap is constructed from solid brass with an eye-catching chrome finish, giving it a longevity that you can always rely on. It's a joy to use, with a smooth turning single lever control for an effortless water supply and a push button pull-out spray that will help you clean even the trickiest of items. The ease of use extends to the installation too, as flexible connecting pipes make it a simple job. All-in-all, this is a fantastic tap that you'll get plenty of use from.